Finally I finished the blocks for lowering the foot pegs for Versys. Surprisingly, even for me with inseam of 30.5”, they have improved the comfort of the ride. 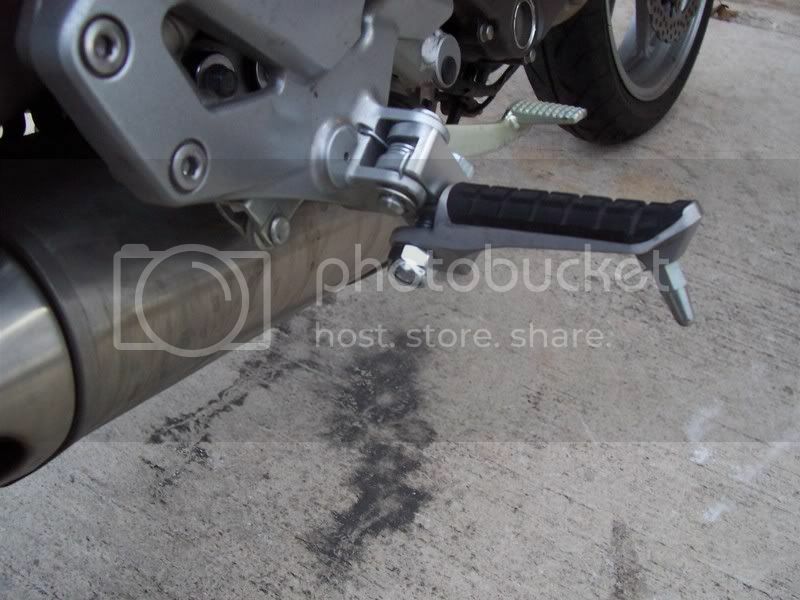 I designed them specifically for Versys, and they lower the foot pegs straight down by 1.3” (33 mm). They are made of clear anodized aircraft aluminum and come with all hardware and detailed installation instructions. The blocks come as a pair of left and right, with “L” and “R” clearly engraved on them. When the blocks are installed, the foot pegs will remain perfectly horizontal, so your feet will not slide off them. I also made them quite stout, so they can easily take 400 Lb (200 Kg) each. Now a few words about how I arrived at this final design. There were some complaints on the forums that the foot pegs were in the way of the driver’s legs when stopping at the intersection. 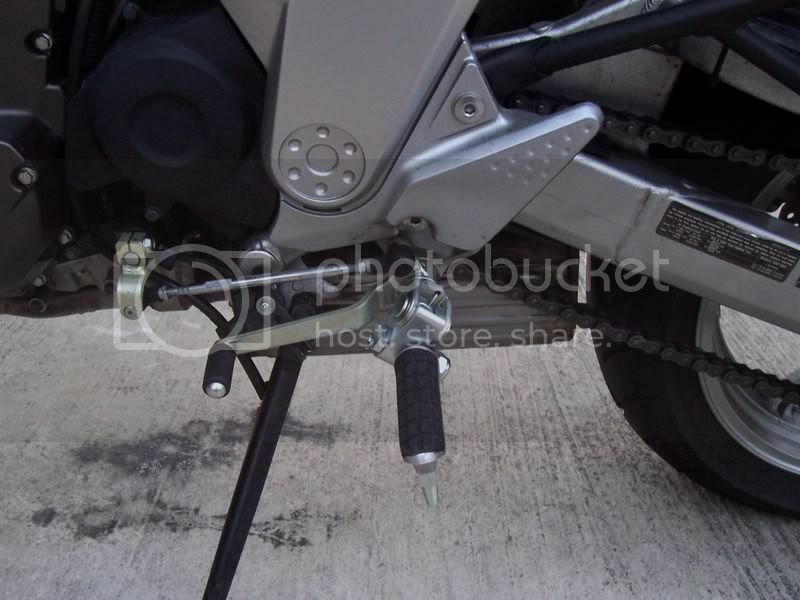 Initially, I designed the blocks to move the foot pegs down and forward to address this issue, however, that cramped the space between the brake lever and the foot peg, and especially between the gear changer and the foot peg. After testing that design, I decided against it, and I designed a new version that you see now in the photos. Looks like another great product!! Looks good Speedy! What sort of adjustments have to be made to the shifter and brake pedal? Looks great once again. I guess my paypal will be coming your way soon! I am working on the installation instructions and I should post them on my website tomorrow. 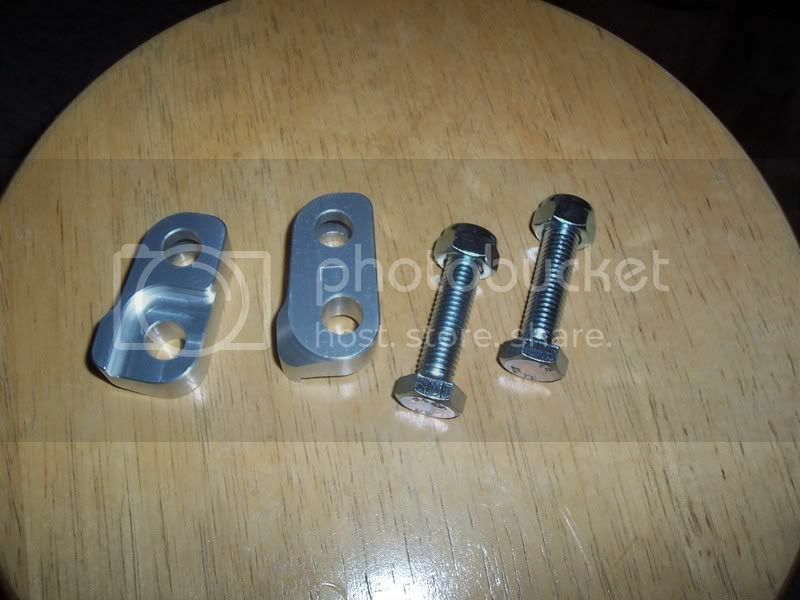 One of the guys asked me if my lowering foot pegs blocks would also work on the rear foot pegs. The answer is no, however, I will try to design something for the rear pegs as well. I guess the riders have a right to some comfort, too. PS - WR Lowering kit & flatfoot arrived yesterday. You are the man sir! Is it safe to assume that the installation instructions include how to adjust the gear lever and brake? I am not the most mechanical guy, I can change oil and adjust the small stuff, I just want to make sure I can get this done on my own. Yes, it is safe to say. Just ordered a set of these. Looks like quality stuff. Itll be added to my christmas list and if I don't get it then I'll buy them before spring, thank you. AAARRRGGGGGHHHHH!!!!! This is what happens when my 11 month old wakes me up at 4 am and I cant go back to sleep!! First the MadStad bracket and now Sir Speedy's Mirror Extenders and Lowering blocks for footpegs...The blocks look very well made Speedy....cant wait to try them on! At 6' 2" I'm sure my knees will thank me! My wonderful wife gave me a set for Christmas. Installation was fairly easy. Went for a quick test ride. NICE. Very comfortable. I think I just might go for a longer ride tomorrow, as long as the weather holds out. Great job, Speedy!! Last edited by Bear on a bicycle; 12-26-2008 at 06:20 PM. I also got a set for X-mas, I bought them and the wife "gave" them to me, I love how that works. I installed them but have yet to adjust the shifter lever or brake. I won't be able to test ride for a while, the 2 feet of snow outside is a problem! Speedy has done a fine job, I wouldn't hesitate to buy anything from him! Last edited by furley; 05-14-2011 at 05:08 PM. Installed both the foot peg blocks as well as the mirror extenders recently. Instructions were great! Speedy - thank you for a fantastic product! I can really look forward to 400 + mile days now! I installed both the lowering blocks and mirror extenders yesterday as well, and am very happy with the results!. My knees are getting old, and the extra room feels great... and I can see behind me now!! Last edited by abramsgunner; 12-28-2008 at 11:21 AM. Mirror Extenders are a "must have" at the Versys. After installing them you see the first time what happening behind you and not only watching your shoulders in the mirrors. I have a few more miles on the peg lowering blocks now... and I wanted to say again that they are fantastic! My knees are happy again. I think the stock pegs should have been there to begin with!! Way better vis, and my knees can feel the difference. Next week - the GPS mount. Thanks Speedy. I just installed the speedy footpeg lowering blocks, mirror extenders and the flatfoot. I am very happy with all of them. I can now see traffic behind me in lanes left or right of me as well as directly behind me without having to move myself out of the way. Such a simple, inexpensive change to make such a great improvement!! The lower footpegs definitely make my seating position more comfortable but I haven't put enough miles on them to know if it will be a total cure for the seat sloping forward issue that i experience after any length of time on the versys. The flatfoot looks cool and I think the one I received is an updated version compared to the one pictured on the website. Speedy, was this changed to create more clearance between flatfoot and swingarm? There is now plenty of clearance and still lots of surface area to keep the foot afloat in soft ground. The only thing I didn't buy was the GPS mount because then i would have to spend more money buying something to mount on it. I was thinking this would be a great place to mount an ammeter, heat-troller knob(s) and a gear indicator if I ever get so carried away. Speedy, what is the thickness of the faceplate on the gps mount?